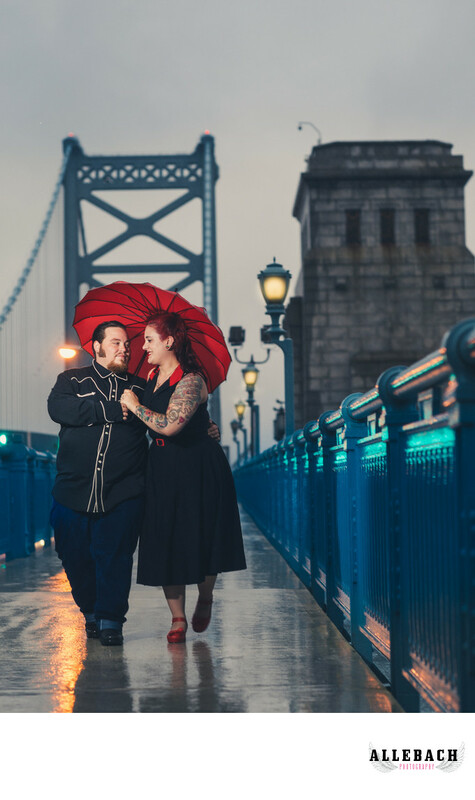 We took these engagement pictures on the Ben Franklin Bridge in Philadelphia in the pouring rain. When lightening started striking we had to head down off the bridge. Engagement pictures are a fun way to get to know your wedding photographer. Especially if you are stressed thinking about your wedding day photos. Contact us today at 610.539.6920 if you are interested in wedding or engagement photos in Philadelphia.